Technical analysis, while proven to be one of the most reliable ways to make informed trading decisions, can be time consuming and often requires multiple indicators and other tools. In order to simplify chart analysis and ensure a higher percentage of profitable trades among our clients, OctaFX has partnered with Autochartist, one of the leading providers of chart pattern recognition tools. The Autochartist Metatrader plugin delivers real-time trading opportunities straight to your terminal. 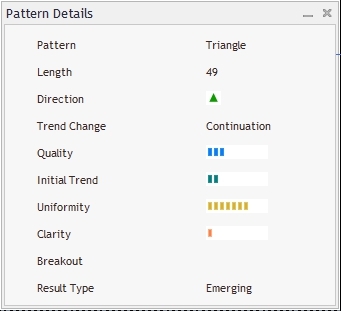 See chart patterns and trends in just one click. You’ll also receive daily Market Reports on each session direct to your inbox. Your total combined accounts balance must be 500 USD or more. Top up your balance here. Download the plugin. An installation guide is available here. 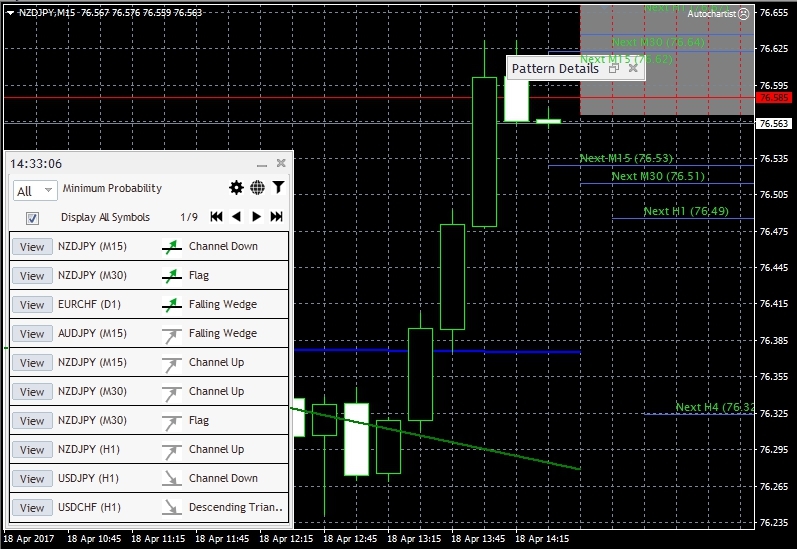 How do I open a trade with the Autochartist plugin? 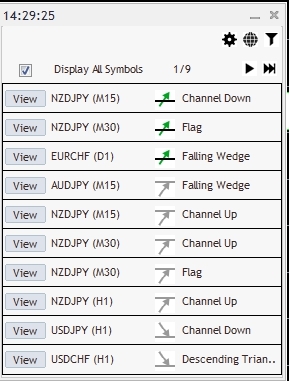 The Expert Advisor plugin does not open any trades, it only shows the patterns identified by Autochartist. 1. Find the currency or the opportunity that you’re interested in. You can do this in a number of ways. Click the left and right arrow buttons to browse all opportunities present in the market at that moment. If you’re interested in particular timeframe or pattern types, use the Filters option to filter market activity. Uncheck ‘Display all symbols’ to only see the patterns identified on the instrument you’ve opened the chart for. Click ‘View’ to see each opportunity identified on the chart. Get more details using the ‘Pattern details’ window. 2. Use the predictions to help you decide which direction to trade in. The general rule of thumb is to go long (open a buy order) when the price is expected go up and to go short when the price is expected to go down. CHFJPY is expected to appreciate based on triangle pattern. EURCAD is expected to depreciate based on triangle pattern. 3. Press F9 to open a new order window or click ‘New Order’. 4. Make sure the instrument selected is the one you want to trade, and specify the volume of your position in lots. Volume depends on the size of your fund, your leverage and which risk to reward ratio you are aiming for. 5. Click Buy or Sell depending on the price direction. 6. Setting a stop loss and take profit based on volatility levels is recommended, however this step is optional. 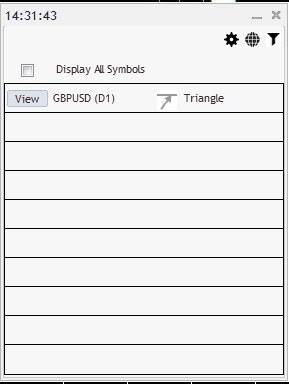 Click ‘View’ in the Autochartist plugin to open the pattern you’re going to trade. Enable ‘Shift end of the chart from right border’ at the toolbar. ‘Volatility levels’ are displayed on the right hand side of the chart. This is an approximation of how much the price is expected to fluctuate. If you’re going long (opening a buy order), you should set your Stop Loss at the price which is below the order open price and Take Profit at the price which is above the open price. For a short (sell) position, set the stop loss at a higher price and take profit at a lower one. 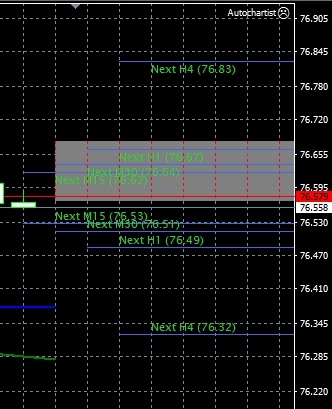 When choosing SL and TP levels, give special consideration to the minimum stop level, which you can check by right clicking the instrument in ‘Market Watch’ and selecting ‘Specification’. It is recommended from a risk management perspective to keep a risk:reward ratio of at least 1:2. Having identified the appropriate levels, find your position in the ‘Trade’ tab. Right click and select ‘Modify or delete order’. Set Stop Loss and Take Profit and click ‘Modify’ to save your changes. 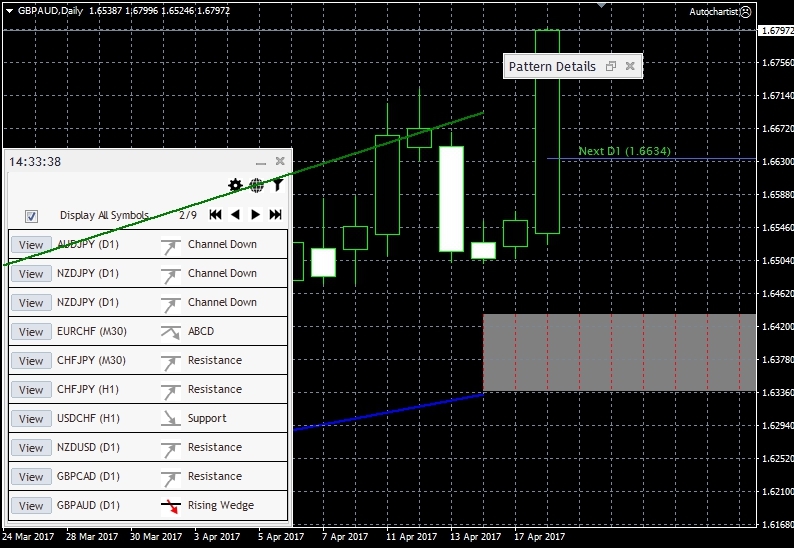 The Autochartist plugin provides a unique insight into the market situation and saves you a significant amount of time. If you'd like to know more about Autochartist, get in touch with our Customer Support team.